We have had big revivals of Sherlock Holmes in recent years so now comes the inevitable big screen revival of another staple of detective fiction and Sunday evening TV murder mysteries: Hercule Poirot. This adaptation of one of Agatha Christie’s most famous stories is brought to the screen courtesy of Kenneth Branagh (who directs and stars as the twee Belgian investigator). 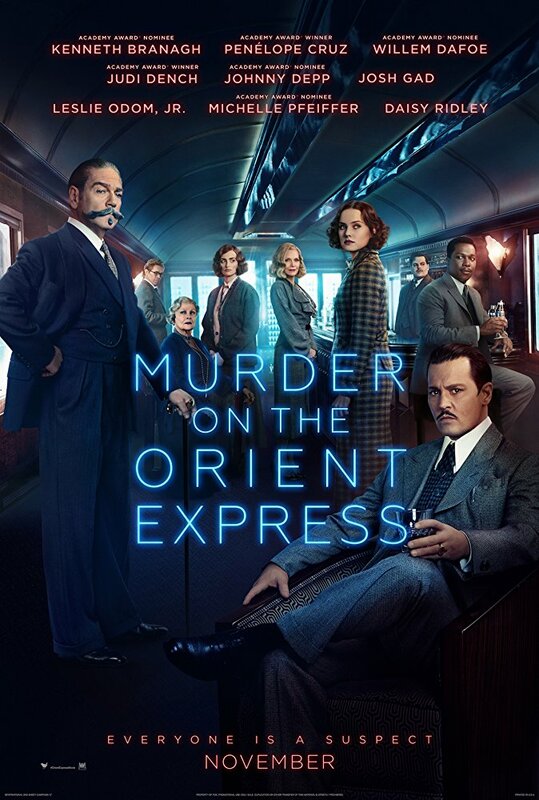 Murder on the Orient Express boasts a significant history of adaptation and is always used to field an all-star cast to play the suspicious characters populating the train when a grisly murder occurs. This new version really feels unnecessary in the light of so many better versions. Elements do show promise. The cast are putting the work in, even if the wider production is trying to limit their impact. Michelle Pfeiffer and Judi Dench stand out as the most colourful and interesting of the passengers. Several of the characters have been reworked from the book so races and ages have been altered, and the script doesn’t do a bad job of integrating these elements in character dynamics. But nothing could overcome the fact that this film does not know how to tell its story. The enclosed space of the train could be made into a real asset for the film but this never emerges. The limitations of movement and forced intimacy amongst the characters is abandoned for jaunts in the mountainside snow. There is no sense of claustrophobia. Furthermore, the film is sprinkled with egregious and unnecessary CGI in the form of sweeping shots of frozen mountain ranges. These wholeheartedly undermine the scale of the setting and contrast poorly to genuinely fine efforts put into the opulent set. Any time Branagh stands in relief to these ill-fitting backdrops, the film looks cartoonish and cheap. Awkward shots and clumsy camera work rear their heads repeatedly in Murder on the Orient Express. Whilst not constant, you will find several scenes thrown by a baffling shot or edit. A crucial line is said by a character now framed out-of-shot, or we will cut abruptly to an extreme close-up of Branagh’s face for a moment of inappropriate emphasis. The crowning moment is the reveal of the murder itself: the camera looks top-down on the corridor outside the crime scene and we only see characters scramble in and out of the doorway. The room of the murder does not come into sight. Just baffling. One wonders what this was meant to achieve. The biggest problem is surely the naked and poorly-thought-through concessions to making this a big flashy film. We therefore have to endure some utterly perfunctory actions sequences to spice things up. Nevermind that these chases and altercations amount to nothing, they stem from a belief that the twists and turns of the closed-room murder mystery are not sufficient to keep the audience’s attention. Time is given over to this crass spectacle and the all-star cast of characters feels pressed for time to draw you in, let alone develop a strong hand of red-herrings to lead you along. Given a choice, there’s no contest between this film and the 1974 Sidney Lumet version. 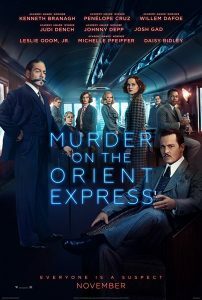 This latest rendition of Murder on the Orient Express simply does not understand the craft of a good murder mystery. It would rather produce something loud and flashy than something with an edge of suspense. 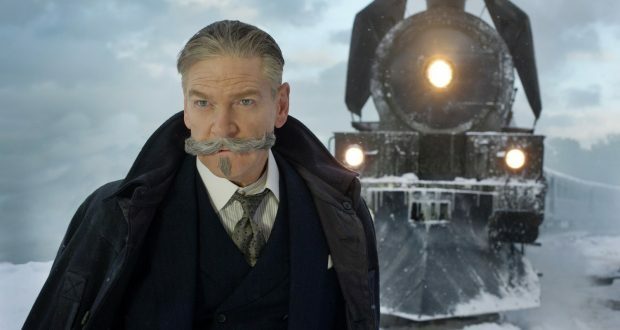 Considering the televised outings of Poirot were honed perfectly to deliver such thrills, it is a wonder that Branagh has misjudged things so much. And what’s that at the end? An allusion to Death in the Nile and the promise of a franchise? Bash me over the head with a lead pipe in the game room now, please. 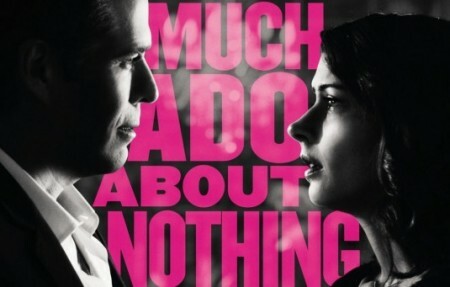 Verdict: An unnecessary and inferior version of a murder mystery classic.